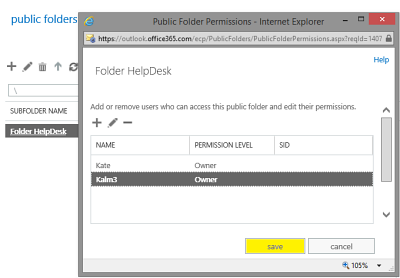 An Exchange public folder can be used by several people in Outlook Web App or in their local Outlook installations. It allows a group of users to view and send e-mails from a common mailbox. These users can also share a common calendar. 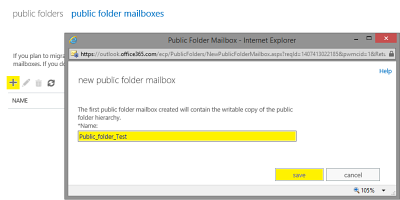 A public folder must be contained in a public folder mailbox. 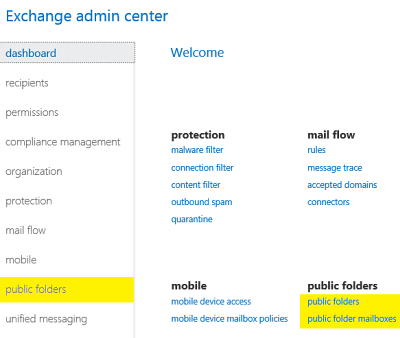 In Office 365, go to Admin and select Exchange. A new dialog will appear. 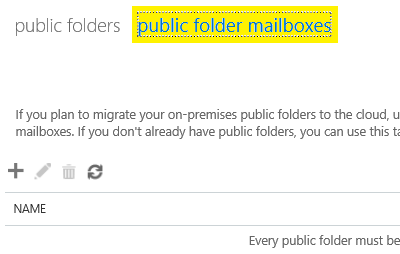 Select public folder mailboxes in the top menu, because you have to create a public folder mailbox before you can create a public folder. 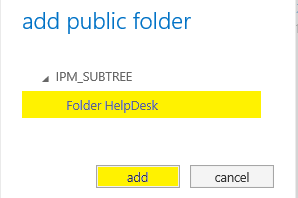 Press the plus sign to create a new public folder mailbox. In the new dialog, enter a name for the public folder and click on save. 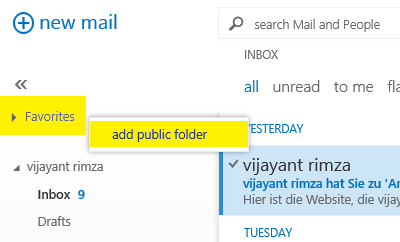 You will now see the newly created mailbox in the list of public folder mailboxes. Select public folders in the top navigation. Click the plus sign and enter a name for the public folder. This is the name that will be visible in Outlook. You don't have to enter anything in the Path field. Click on save. Now you will see the new public folder in a list. In the right pane, make sure the Mail settings are enabled. 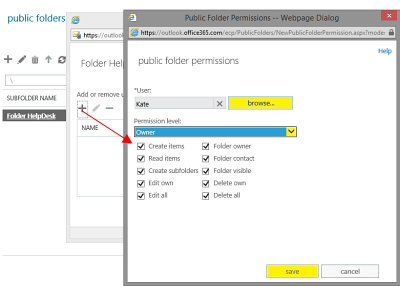 Click on Manage to open a dialog that lets you add people who should have access to the public folder. Click on the plus sign. 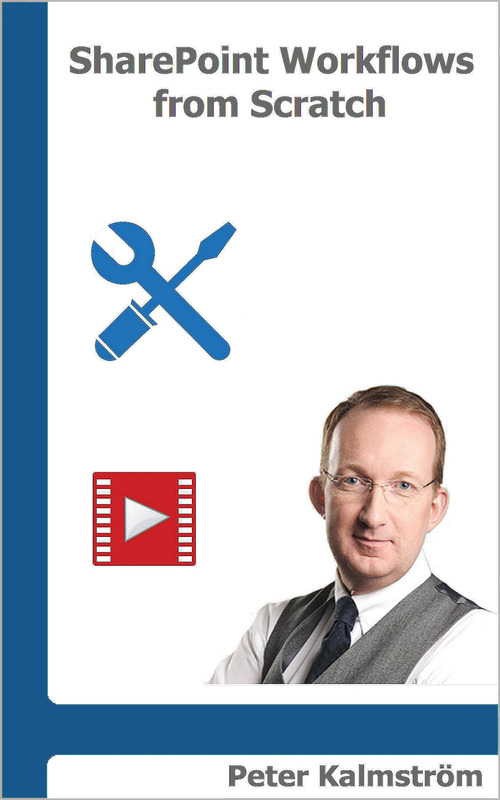 Click on Browse and select a person to whom you want to give access to the public folder. When you want to give access to many users, create a user group and select the group just as you select regular users. Define permission level for each user or group you add. Click save and then save again when you have added all users. Right click on Favorites and select add public folder. 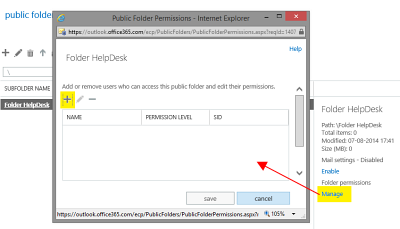 Select the public folder and click add. 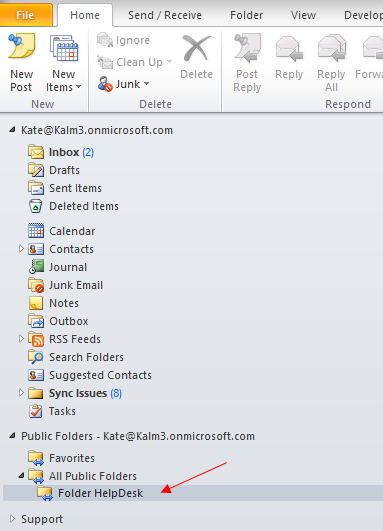 Here is the public folder in Outlook Web App. 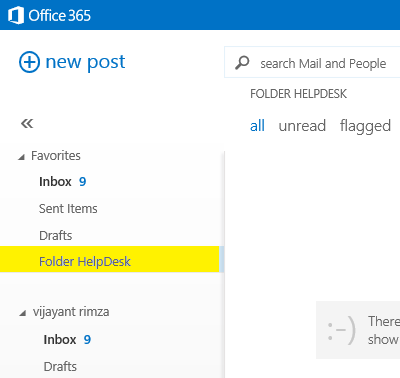 Create a new Outlook profile: Open the Control panel and go to Mail> Show profile >Add. Enter a name for the new profile. 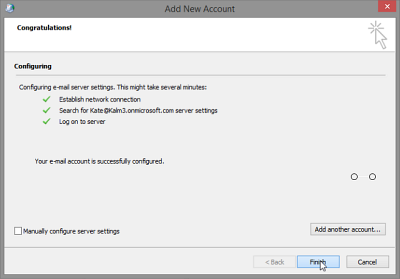 When you click on OK an Auto Account Setup dialog will be displayed. Enter your name and login details to Office 365 and click Next. 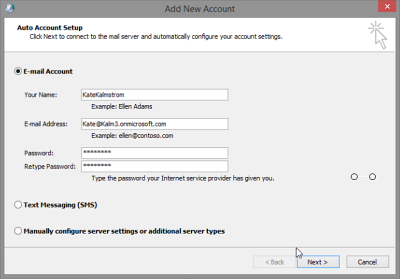 Outlook starts configuring the e-mail server settings. You will get a success message when this has been completed. 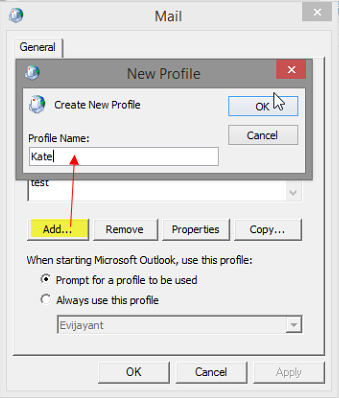 Open Outlook and select the new profile when you are asked to select a profile. 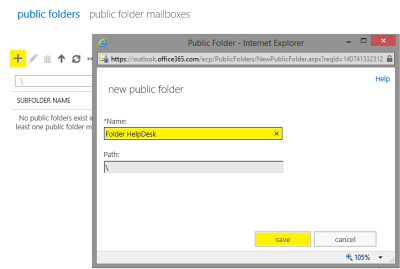 Now the public folder will be loaded into your local Outlook.